Boolean searches allow you to combine words and phrases using the words AND, OR, NOT and NEAR (otherwise known as Boolean operators) to limit, widen, or define your search. OneMine has some new advanced features that will allow you to refine your search. You can use Boolean phrases (and, not, or) to specify combinations or add options or eliminate words from your search. Below are three methods to help you understand how to use our Boolean phrases. You can also use quotes (sometimes known as inverted commas) to capture specific combinations of words in your results. The plus (+) sign is used like an "And" in the search engine. This is the default Boolean phrase unless otherwise specified so you do not have to use it in a basic search. 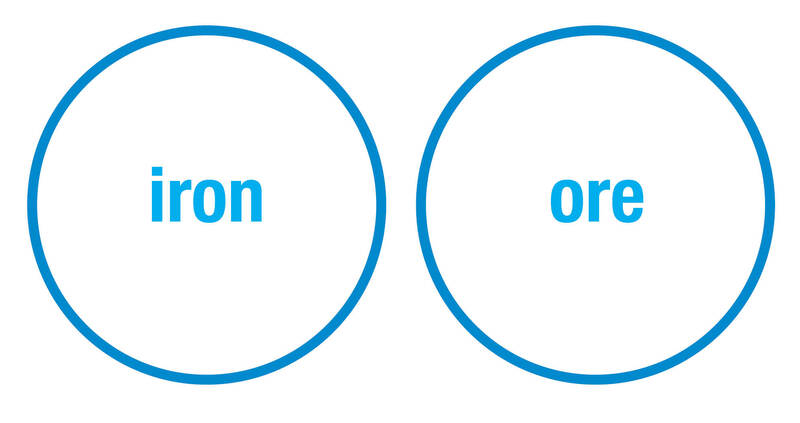 If you are looking for documents that have both the words "iron" and "ore" in our results, you would type in iron +ore (simply typing in "iron ore" will also work since "and" is our default Boolean phrase). This will return only those documents that have both words in the results. Using the two keywords above, the first group is all the documents that have the keyword "iron" somewhere in the text. The second group is all the documents that have the keyword "ore" somewhere in the text. 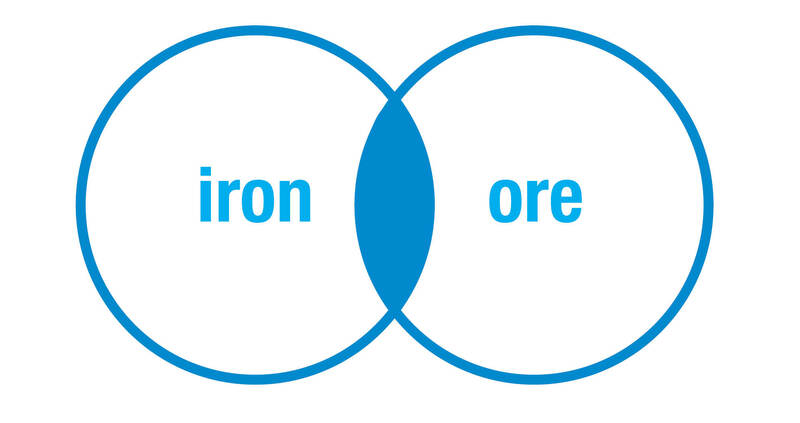 The graphic above represents the result set when we ask for the database to search for all documents that include both the word "iron" and the word "ore" in their text, we are only looking for documents that contain both keywords. This will reduce the number of results you get. The minus (-) sign is used as a "Not" in the search engine. 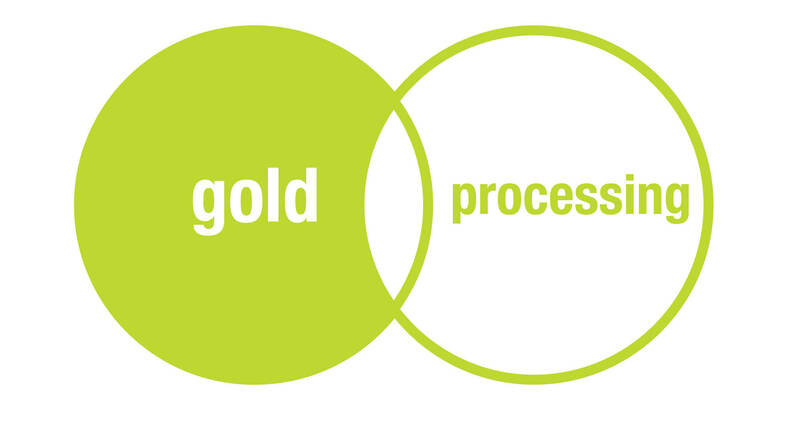 If you are looking for only the word "gold" without the word "processing" in the results, you would type in gold -processing. This will return all documents that have the word "gold" in the results but not if it also has the word "processing" (or "process", "processed", "processor", etc.) in the data. The minus sign must immediately precede the word you wish to eliminate without any spacing – this will work to eliminate the word "-processing" whereas this will not "- processing" (notice the space). Using the two keywords above, the first group is all the documents that have the keyword "gold" somewhere in the text. The second group is all the documents that have the keyword "processing" somewhere in the text. 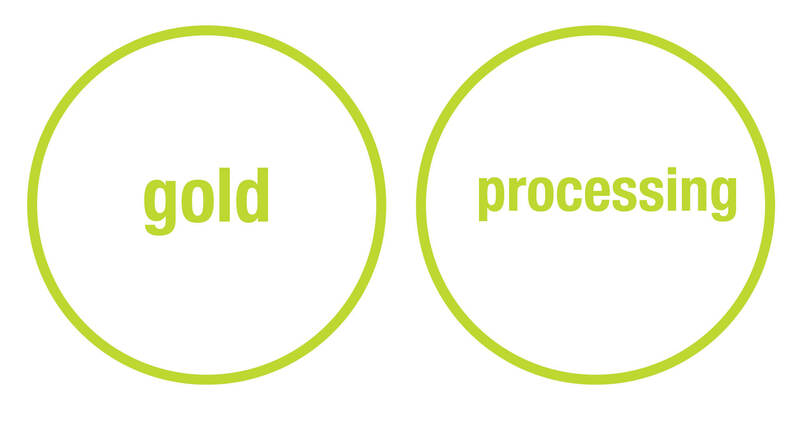 The graphic above represents the result set when we ask the database to search for documents that have the word "gold" in their text, but to exclude any documents that also have the word "processing" in the text. The shaded area above reflects the documents found that meet that criteria. The pipe (|) sign (usually found with the backslash key) is used as an "Or" in the search engine. If you are looking for results that have either "coal" or "gypsum" in the results you would type in coal |gypsum. This will return all the documents that have either the word "coal" or the word "gypsum" in the results. This means that you will have some documents that have only one of these words but you will most likely also have several documents that have both words in the results. 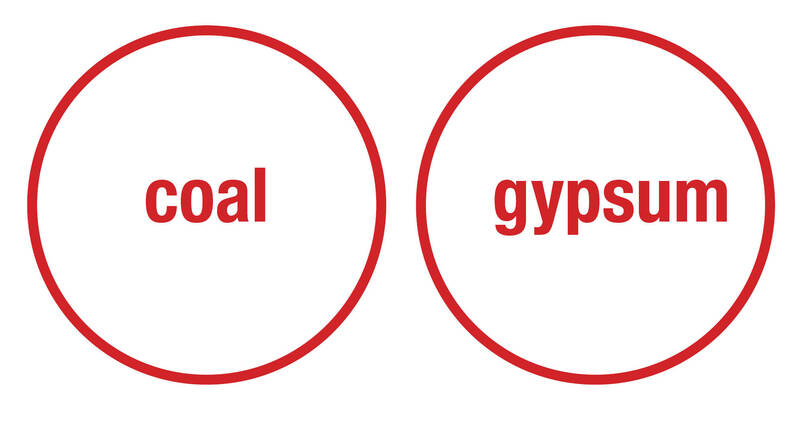 The pipe sign must immediately precede the word you wish to include without any spacing – this will work to include the word "|gypsum" whereas this will not "| gypsum" (notice the space). Using the two keywords above, the first group is all the documents that have the keyword "coal" somewhere in the text. The second group is all the documents that have the keyword "gypsum" somewhere in the text. 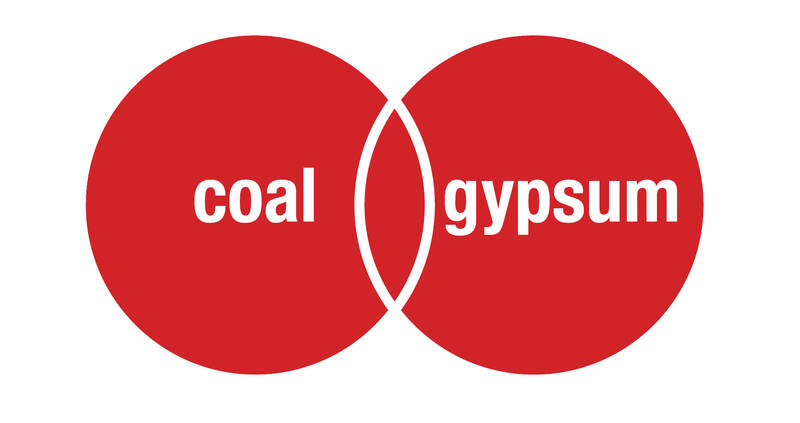 The graphic above represents the result set when we ask the database to search for documents that have the word "coal" or the word "gypsum" in the text. The shaded area above reflects the documents found that meet that criteria. Using quotes (" ") will return results where your combination of words will be found in that exact order in the document. If you are looking for "placer mining" you would type in "placer mining" (quotes included) into your search. This will return all documents that have both placer and mining next to each other in that order. If the document only has the phrase "technique of mining placer" then it will not be returned in your results since the words are not in the correct order.